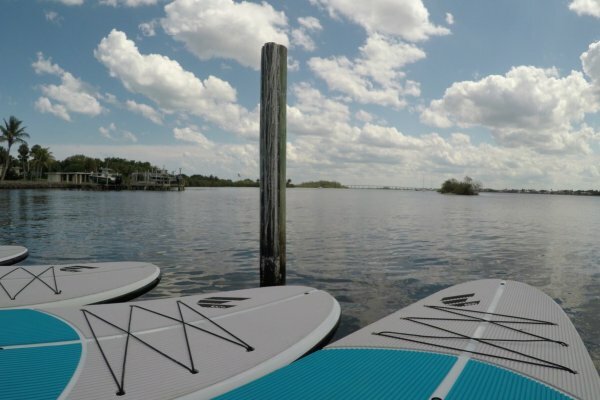 Explore the Indian River Lagoon at your own pace with a paddle board rental. Never paddle boarded before? Not to worry, every rental comes with a free lesson. We teach you about the board, how to get back on if you fall off (you wont fall, you’re good), proper paddling technique, and the best routes to take based on wind and weather, and where we’ve dolphin and manatee lately. We also give a bottle of water and sunscreen, no excuse now, time to go paddle boarding. Paddle boarding in the ocean is so much fun! It is a little more difficult than The River, but its still super cool. Makes for a great platform to explore the S.S. Breconshire, and sea turtles. 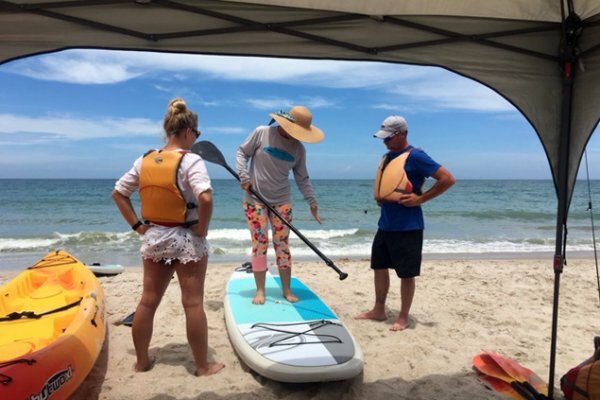 Paddle board rentals on the beach still include a free lesson, plus the added bonus of sea turtles. 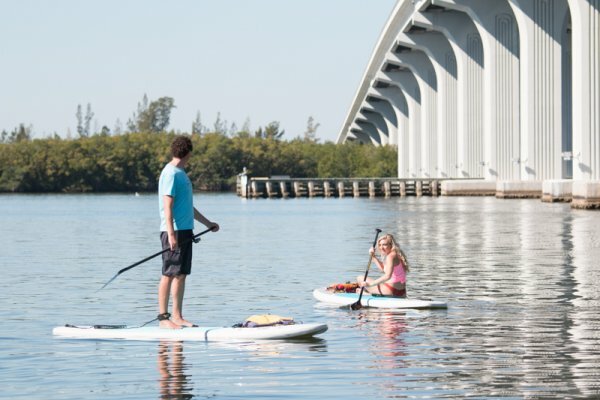 A guided tour is a great way to see the Indian River Lagoon and to learn to paddle board. This two hour tour includes a lesson, and my favorite part, amazing photos! Most of the photos on this website are from out guided tours, who knows, you could make the website, and show off some cool photos to your friends. 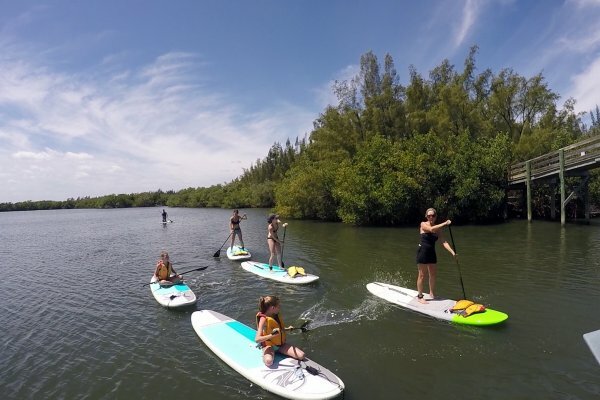 Learn to paddle board from the only American Canoe Association instructors in Vero Beach. We’ll teach you about the different types of paddle boards, how to get back on, if you fall off, you wont though, and proper paddling technique. After this hour and half class you’ll be ready to go explore the Indian River.